I met up with a good friend for dinner recently. We met in a mall called Sunway Pyramid. This mall is located a residential area and is a mixed development consisting of a shopping mall, hotel and amusement park. It was recently refurbished. Enough about the mall. Now the watch shops in the mall. 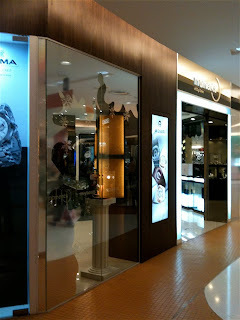 There are a number of watch shops in the mall, but I was only able to locate some of them as it is a big mall. On top of that, the shops I list here in this entry may be the shops in the new wing of the mall. There could be more watch shops in the old wing. I am not sure. On with it. The first shop is the Titan Boutique. 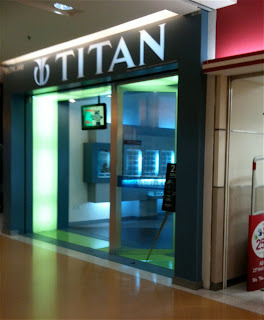 Titan watches are from India and this is the first time I have seen it here in Malaysia. There is a large selection of styles and design available and I am sure it will cater for and need or occasion. 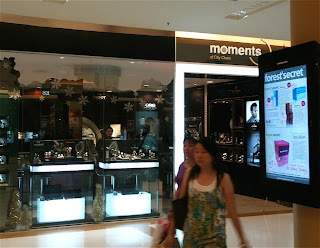 The next shop is called moments. This shop is from the City Chain Group. I believe this shop is design to cater for a different group of customers. Talk about segmenting... Anyway this shop carries more watches of Swiss origin as compared to City Chain. The brands being offered includes Oris, Cyma, Seiko, Seiko Grand, ck, Longines, Tissot and Mido. 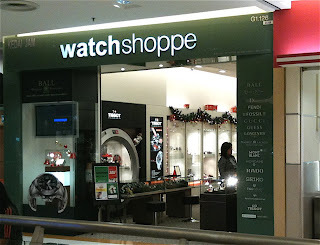 We also find the chain watch shop Watchshoppe here in the mall. It carries the same brand of watches as its other branches. It includes Ball, Dior, Fendi, Fossil, Gucci, Guess, Longines, Maurice Lacroix, Montblanc, Rado, Mondaine, Seiko, Tag Heuer, Technomarine and Tissot. There are a number of boutique here in the mall. Most are fashion brand boutiques. 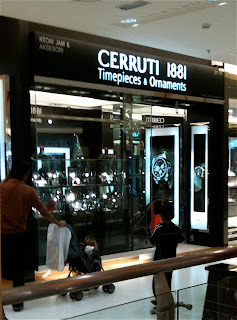 The boutiques include Bonia, Fossil, Cerutti 1881. 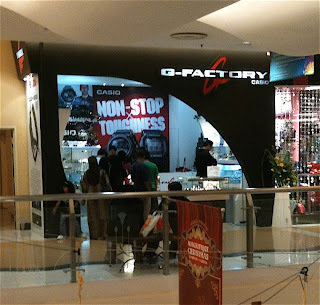 There is also a G-Factory. They offer a vast selection of Casio watches. The main focus of course is the G-Shock range of watches, and it does not disappoint. I found it carries a very good selection of G-Shocks. The next shop is called Time Galaxy. This is typical of a mall watch shop. It carries the usual brands that are popular and easy to move. Brands on offer includes Emporio Armani, Michael Kors, Victorinox, Guess, DKNY, Casio, Roscani, Seiko, Fossil and Nike. 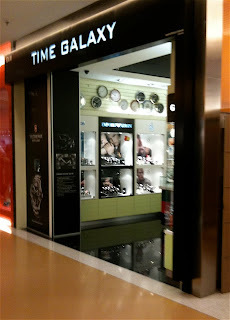 There are a number of other watch shop in the mall. However I was no able to locate the shops. The other shops are City Chain, mome nts, P.K.Time, Solar Time and Watch Time.